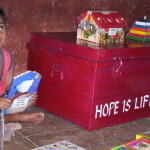 Project Book Angels is the first initiative of Hope is Life Foundation. Started in 2000 by 7-year-old Natascha Yogachandra, the project sends used children’s books to schools in need around the world. 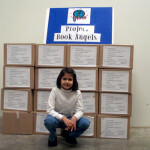 “Dad, can we send my old books to the kids in the picture?” Natascha asked. Nat Yogachandra, upon returning home from his business trips with Eastman Kodak, would show his daughter pictures of poverty—images he saw while roaming the world. Just one small question led to one small project. “Why not?” said Nat while turning to his wife. They decided they would drive around in their van on weekends to pick up books from family, friends and neighbors. 150 million of the world’s children aged 6-11 are not in school. 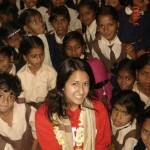 Of these, 90 million are girls. 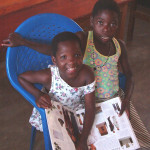 More than half the women in sub-Saharan Africa are illiterate. 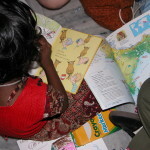 Over 80% of women are illiterate in Niger, Sierra Leone, Nepal, Somalia and Afghanistan. But why books? 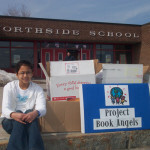 For Natascha and her family, books are a starting point. They spark creativity. They encourage a wandering imagination. But most importantly, they open doors. One book leads to another, many books lead to an education, an education leads to change. So with a small project, we can cause great progress. 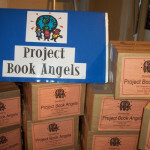 Since 2000, Project Book Angels has opened over 22 libraries around the world, starting in Kenya. 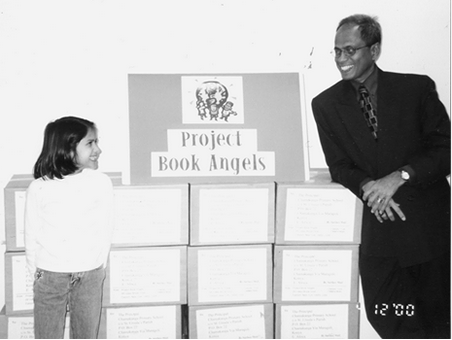 Although Hope is Life no longer accepts book donations due to expensive shipping costs, we do accept monetary donations in order to purchase books locally—which also contributes to the local economy.